What Does Tort Reform Mean? Tort reform means laws designed to reduce litigation. The laws generally focus on a specific industry, such as the medical profession. While most tort reform in the U.S. has been enacted by the states, some has been passed by the federal government. Tort reform is a contentious issue. Proponents are typically businesses, trade organizations, insurance companies, medical providers, or politicians. Critics are often medical patients, consumer groups, trial lawyers, or legal scholars. Preserves laws needed to prevent hurtful and abusive practices against businesses. Prevents lawyers from clogging the legal system with too many frivolous lawsuits. Prevents lawsuits that are too costly and keeps product liability and medical malpractice insurance costs from escalating. Critics contend the laws won't fix the problems that led to the initial lawsuits. It could limit the ability of people to get justice for their injuries. It will penalize those who can't afford legal counsel. It will lower potential damage awards and dis-incentivize attorneys from helping financially disadvantaged victims. Tort reform advocates argue that the laws are needed to prevent abusive practices that hurt businesses, particularly manufacturers and healthcare providers. They contend that lawyers clog the court system by filing vast numbers of lawsuits, many of which are frivolous. Some suits generate excessive awards and exorbitant fees for attorneys. These drive up the cost of product liability and medical malpractice insurance. Businesses and medical providers pass these costs on to their customers by charging higher prices for products and services. Critics of tort reform maintain that the laws don't fix the problems that led to the suits in the first place. Instead, they limit people's ability to obtain justice for injuries they have suffered. Many victims cannot afford a lawyer so their cases are handled on a contingency fee basis. When potential damages are reduced by tort reform, attorneys have less incentive to take on new cases. Without a lawyer to assist them, victims cannot obtain fair compensation. Limits on non-economic damages, a type of compensatory damages awarded for injuries such as pain and suffering, disfigurement, and humiliation. Non-economic damages are often limited by law because they are subjective. Caps on punitive damages awards. For instance, punitive damages might be limited to $500,000 or five times the amount of compensatory damages, whichever is larger. The first tort reform legislation was enacted in the 1970s to ensure that health care providers had access to liability coverage. Medical malpractice claims were soaring and a number of insurers had stopped writing liability insurance. The exodus of insurers reduced the availability of coverage and premiums skyrocketed. Some practitioners were unable to obtain insurance at all. To address the situation, state legislators enacted laws to reduce the size and number of claims. An example is the Medical Injury Compensation Reform Act (MICRA) passed in California in 1975. This law remains in effect. MICRA is considered a model of tort reform legislation. It imposes a $250,000 cap (not adjusted for inflation) on non-economic damages. It does not impose limits on economic damages or punitive damages. MICRA also uses a sliding scale to limit attorneys' fees. Many states passed additional tort reform in the 1980s, 1990s, and 2000s. These laws were designed to stabilize premiums and increase the availability of medical malpractice insurance. Asbestos was used throughout much of the 20th century to manufacture ships, brake linings, boilers, and other products. By the 1970s, the mineral had been linked to lung diseases like asbestosis and mesothelioma, a type of cancer. Workers who contracted these diseases began suing employers and manufacturers. Asbestos-related suits surged in the 1980s and 1990s. By the early 2000s, they were clogging state and federal courts. Attorneys were filing mass tort actions on behalf of groups of plaintiffs, many of whom had been exposed to asbestos but hadn't suffered a physical impairment. Texas passed asbestos-related tort reform in 2005. Texas law SB15 requires plaintiffs to obtain a medical diagnosis of an asbestos-related physical impairment before filing a claim. Plaintiffs must file claims individually rather than as part of a mass tort action. A subsequent law (HB1325) passed in 2013 requires the dismissal of suits filed before 2005 if the claimants have not suffered any impairment. The claimants may refile their suits if they are eventually diagnosed with an asbestos-related illness. Several other states have passed laws to reduce asbestos claims. Examples are Ohio, Kansas, Florida, and Georgia. Many states have enacted some type of product liability reform. An example is the Small Business Protection Act (SB184) that Alabama passed in 2011. The law protects retailers, wholesalers, and distributors from suits involving products they did not design or manufacture. Colorado enacted SB231 in 2003. The law prohibits suits against a manufacturer if the plaintiff used the product in a manner for which it wasn't intended. The law also protects sellers from suits involving products they didn't manufacture. In 2011, Wisconsin passed the Omnibus Tort Reform Act to protect manufacturers. Among other things, the law increases the threshold for proving a product is defective. It limits punitive damages to $200,000 or twice the compensatory damages, whichever is greater. The law also imposes a 15-year statute of repose. This means that claimants cannot sue manufacturers for injuries caused by products manufactured 15 or more years ago. In addition, the Act requires the application of comparative negligence rather than joint and several liability if a defendant is less than 51 percent responsible for the plaintiff's injury. The federal government has also passed laws to reduce lawsuits. In 2005, Congress enacted the Class Action Fairness Act to address the abuse of class action lawsuits. The law allows defendants to move their case from state court to federal court if certain criteria are met. Federal courts are typically more friendly to defendants and less so to plaintiffs than state courts. To be tried in federal court, a case must involve at least 100 plaintiffs. One or more plaintiffs must reside in a different state than one or more defendants. Also, the damages sought by all plaintiffs combined must be at least $5 million. In 1997, the federal government passed the Volunteer Protection Act (VPA) to promote volunteerism. 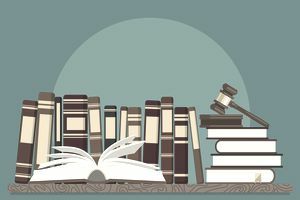 The law protects volunteer workers from lawsuits for acts or omissions they committed while acting on behalf of a nonprofit organization or government entity. The VPA does not protect workers from suits based on willful, reckless, or criminal misconduct. It does not apply to harm caused by a volunteer operating a vehicle, craft, or vessel if the owner or operator of the vehicle or vessel is required to obtain a license or maintain insurance.